Qatar and Saudi Arabia have been locked in a political feud for more than a year, with Riyadh banning all flights to and from Doha and severing ties. Qatar today said its citizens were unable to take part in the annual hajj pilgrimage to Saudi Arabia as the two countries remain bitterly locked in a diplomatic dispute. 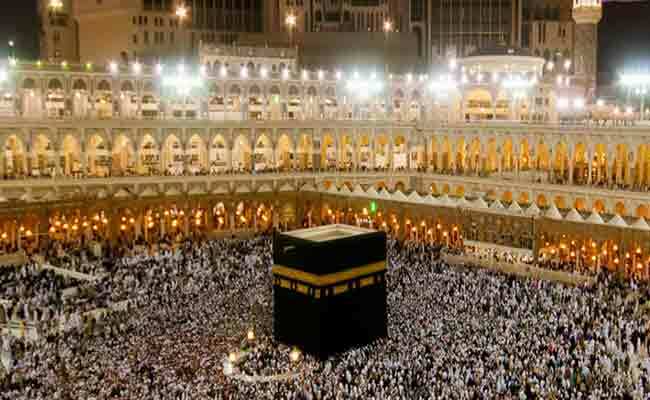 "There is no chance this year for Qatari citizens and residents to travel for hajj," a government official told AFP. "Registration of pilgrims from the State of Qatar remains closed and residents of Qatar cannot be granted visas as there are no diplomatic missions," added the official. Qatar and Saudi Arabia have been locked in a political feud for more than a year, with Riyadh banning all flights to and from Doha and severing diplomatic and trade ties with its neighbour. Saudi authorities have said Qatari pilgrims were welcome at the hajj and last week denied it was blocking them from travelling to the kingdom's holy sites. The Qatari official said the border closure and the lack of diplomatic missions and direct flights between the two countries effectively meant that no Qataris could undertake the pilgrimage. The row over hajj is the latest frontline in a highly fractious 14-month long diplomatic dispute between the two states. Qatar has been isolated since June 2017, accused by Saudi Arabia and its allies of supporting terrorism and being too close to Riyadh's archrival, Iran -- charges Doha denies. Sanctions imposed by Riyadh as part of the dispute stop Qataris from travelling to Saudi Arabia. However, an exception was made for hajj, according to official Saudi statements. Under a quota system established by Saudi Arabia, some 1,200 Qatari citizens should be able to attend the hajj -- which attracts two million Muslims from around the world each year. But many Qataris have complained that registration on a Saudi Arabian ministry website specifically for the pilgrimage has proved impossible.